WHY SHOULD OPEN FOREX ACCOUNT AT FXPRO ? FxPro has long experience in the forex world, started up since 2006. WHAT ARE THE REQUIREMENTS FOR FOREX ACCOUNT OPENING? Scan file proof of residence, such as utility bills with your name and address written on it. You can also use driver's license, internet bill, or credit card report. Recommended deposit amount is 500 USD, for your convenience in trading. The next deposit is up to you, in any amount and time. HOW TO OPEN A FOREX ACCOUNT? Fill out the form. Make sure your address is the same as your proof of residence. Beginner trader is advised to choose FxPro MT4 type account. You also need to upload the ID Card (front and rear) and proof of residence scan files. You can also upload later. Usually only three minutes needed to fill out forms. FxPro will send an opening account confirmation email. Here you will find the customer code and name of FxPro trading server. Then you can login at FxPro website with your email and password. You will enter FxPro Direct. There, you can get a wide selection of deposit method and the instruction. For example, when you choose wire transfer method, you will be notified the bank code, etc. Instructions for bank transfer can be sent to your e-mail and then you can print it. Bring this instruction page to the bank where you will deposit money. In this case you will deposit into Barclay Bank, PLC (UK). Usually the funds will arrive within 1 business day. The funds you deposit will go to FxPro Vault, please log back into the FxPro website, then select Manage Fund to move funds from FxPro Vault to your real trading account. 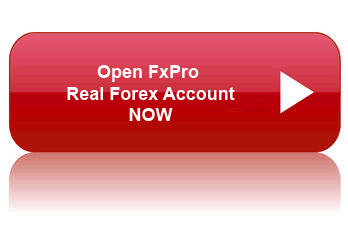 Open FxPro real forex account NOW!